H. P. Lovecraft was an American horror fiction writer. Check out this biography to know about his childhood, family life, achievements and fun facts about him. H. P. Lovecraft was an American horror fiction writer, credited with starting a trend in fantasy and science fiction (sci-fi) writing. Mostly an autodidact, he never finished school, staying at home due to fragile health, gobbling up books far advanced for his age. Writing his first story at the age of six, he took up writing as his profession at the age of twenty-four. Too shy to promote himself, he got little remuneration for his talent and most of his works were published in pulp magazines. All his life, he lived in poverty, often being forced to take up ghost-writing to meet his expenses, yet going hungry, eating bread that had gone past its expiry date. It was only after his death that two of his friends, August Derleth and Donald Wandrei, collected his stories and made arrangement for their publications. But for them, the world could have lost great pieces of treasure that has now created its own place in the canon of world literature. Lovecraft’s writings have had a great impact on modern popular cultures and have also influenced and inspired many of his contemporaries, such as August Derleth, Robert E. Howard, Robert Bloch, Fritz Leiber, Clive Barker, Stephen King, Alan Moore, Neil Gaiman and Mike Mignola. 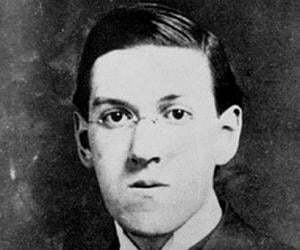 Howard Phillips Lovecraft was born on August 20, 1890 in Providence, Rhode Island. His father, Winfield Scott Lovecraft, a traveling salesman of jewelry and precious metal, worked for Gorham & Co. Her mother, Sarah Susan nee Phillips, was the daughter of Whipple Van Buren Phillips, a noted businessman. In 1893, when Howard was three years old, his father went to Chicago and there in a hotel room, he suffered a nervous breakdown, possibly from untreated syphilis. Subsequently, he was placed in Butler Hospital, a psychiatric and substance-abuse hospital in Providence, where he lived until his death in 1898. Howard was his parents’ only child. After his father was hospitalized, he moved with his mother into his maternal grandfather’s family home. Here, he lived with his mother, grandparents and his two aunts, Lillian Delora Phillips and Annie Emeline Phillips. His maternal grandfather, Whipple Phillips, has had great influence on young Howard and instilled in him a great appreciation of classical literature and poetry. He encouraged his reading, supplying him with classics and also telling him off-the-cuff horror stories in the Gothic mode, thus stirring his interest in the weird. Born a prodigy, Howard is said to have started reciting whole poetries by the age of two and reading by the age of three. By five, he had completed ‘The Arabian Night’ and took up the pseudonym of ‘Abdul Alhazred’. 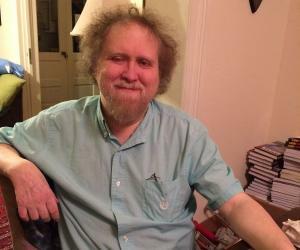 At six, he discovered Greek mythology and began to read books like ‘Age of Fable’ by Thomas Bulfinch and children’s versions of the Iliad and Odyssey. Possibly in the same year, he wrote his first story, ‘The Noble Eavesdropper’. Unfortunately, it has since been lost. Also at the age of six, he lost his maternal grandmother. Thereafter, he started having vivid nightmares, which must have affected his health and interfered with his formal education. Although he was enrolled at Slater Avenue School, he barely attended school until the age of eight. Continuing to study at home, Howard wrote his first poem, ‘The Poem of Ulysses’ in 1897. It was an internally rhyming verse 88 lines long, based on Homer’s Odyssey. It is his earliest surviving work. In 1898, at the age of eight, he was introduced to chemistry and astronomy, shortly becoming engrossed in the latter, dreaming to become an astronaut when he grew up. It was also the time, when he started growing a fondness for the writings of Edgar Allen Poe. In 1899, plagued by various ailments like headache, nervousness and general fatigue, he had to leave school. In the same year, he produced ‘The Scientific Gazette’, a hectographed journal, which he distributed among his friends. Around 1903, after studying at home for four years, Howard returned to school, getting admission into Hope High School. Also in the same year, he started ‘The Rhode Island Journal of Astronomy’, to be distributed among his friends. Like ‘Scientific Gazette’, it also survived till 1907. In March 1904, his maternal grandfather, Whipple Phillips, passed away all of a sudden and with that their financial condition began to deteriorate. Ultimately, they were forced to move to a much smaller house on the Angell Street, close to the house, where he was born. Young Howard found it very hard to accept such degradation of their status, contemplating suicide. He would often ride to the river side and look into its depth. But very soon he got out of this mood and began normal life, writing ‘The Beast in the Cave’ in 1905. In 1906, his letter on certain astronomical subject appeared in ‘The Providence Sunday Journal’. It was his first writing in print. 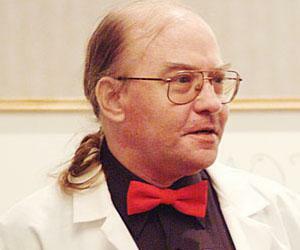 Very soon, he started writing a monthly astronomy column for journals like ‘The Pawtuxet Valley Gleaner’ and ‘The Providence Tribune’. In 1908, shortly before his final examination, he suffered a nervous breakdown, which compelled him to leave school without a diploma. It affected him so much that he went into reclusion. For five years, he spent his days sleeping and nights reading; never going out before nightfall. In 1913, a chance incident led H. P. Lovecraft out of this seclusion, helping him to take up writing as his career. Some Fred Jackson wrote a series of insipid love stories in a pulp magazine called ‘Argosy’. Reading them, he became so infuriated that he wrote a letter attacking Jackson. Written in verse, the letter evoked angry response from Jackson’s fans, giving rise to a heated debate between Lovecraft and Jackson’s defenders. Lovecraft’s letters soon caught the attention of Edward F. Daas, President of the United Amateur Press Association (UAPA). In 1914, Lovecraft joined UAPA on the invitation of Daas, launching his own paper, ‘The Conservative’ in 1915. He ran thirteen issues of it, concurrently contributing large number of poems and essays in other journals like ‘The Providence Evening News’ and ‘The Asheville (N.C.) Gazette-News’. Slowly coming out of his seclusion, Lovecraft submitted ‘The Alchemist’, a short story he had written in 1908 before he entered his reclusion, to ‘United Amateur’. It was published in the November 1916 issue of the journal. It was also his first published short story. Sometime now he came in contact with W. Paul Cook, a leading figure in the tradition of amateur journalism. He not only widened Lovecraft’s knowledge of supernatural literature by supplying him with books, but also encouraged him to undertake systematic study in the subject and write more fictions. Encouraged by Cook, Lovecraft began to write fictions, producing ‘The Tomb’ and ‘Dagon’ in the summer of 1917. Thereafter, he produced number of short stories although until 1922 poems and essays remained his preferred mode of literary expression. He also corresponded regularly with friends through letters, eventually becoming the century’s most prolific letter-writer. Over the course of his life, he had written 100,000 letters, consisting of several million words. Many of these were written to fellow writers like Robert Bloch, Henry Kuttner, Robert E Howard and Samuel Loveman. In February 1924, he was commissioned by J. C. Henneberger, founder and owner of ‘Weird Tales’, to ghost-write a story for magician Harry Houdini, and was offered $100 for it. He had been contributing to the magazine since 1923 and agreed to ghost write because of the lucrative offer. In March 1924, H.P. Lovecraft got married and relocated to Brooklyn. 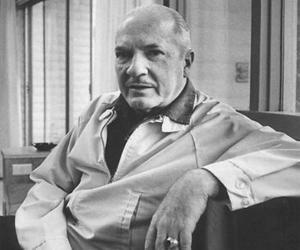 After detailed research on pharaohs, he wrote ‘Imprisoned with the Pharaohs’. It was published in the May-June-July 1924 edition of ‘Weird Tales’ in Houdini’s name. Later the two men collaborated on several other projects. 1924 also saw the formation of a literary circle, known by the name of ‘Kalem Club’ around Lovecraft. At the urging of its members, he now began to submit number of otherworldly stories to ‘Weird Tales’. Although initially he enjoyed life in New York the good time did not last long. Very soon he started facing financial problem and discord at home. He now tried to secure work, but failed to get any. Eventually on April 17, 1926, he returned to Providence without his wife. H.P. Lovecraft spent the last years of his short life in Providence, producing a vast amount of celebrated work. ‘The Call of Cthulhu’, completed in 1926 is one of his most memorable works. He also traveled to places, looking for the perfect locales for his stories. In 1927, he wrote a short novel called ‘The Case of Charles Dexter Ward’. However, he himself found it "cumbrous, creaking bit of self-conscious antiquarianism" and therefore left it to be published posthumously. Later critics however found it to be one of his finest works. Some other notable stories he wrote during this period were ‘Downwich Horror’ (1928), ‘At the Mountains of Madness’ (1931), ‘The Shadow over Innsmouth’ (1931), ‘At the Mountains of Madness’ (1931), ‘The Shadow out of Time’ (1934-1935), Concurrently, he also continued corresponding with his friends, producing a vast number of letters. In spite of producing number of masterpieces, H.P. Lovecraft never earned much and spent his last years in poverty. That was mainly because he was too shy to promote himself; consequently, his works were mostly published in pulp magazines, which did not pay much. The last two or three years of his life were especially hard. 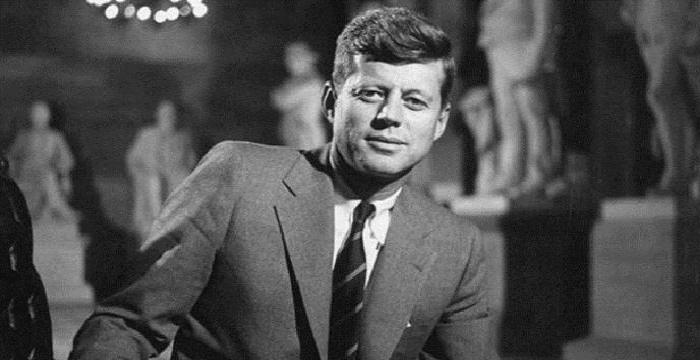 During this period, he lived with his surviving aunt in a dingy house, surviving on his income from ghost-writing and a small inheritance that was about to dry up. He had by then lost interest in selling his works. Along with his financial woes, he also had to put up with the pain caused by his intestinal cancer. In spite of such hardships, he continued to write letters, often going without food to pay for the cost of mailing them. ’The Shadow over Innsmouth’ is another of his major creation. Written in November-December 1931 and published in April 1936, this novel is the only Lovecraft creation to be published in book form during his lifetime. On March 3, 1924, H.P. Lovecraft married Sonia Haft Green, a successful milliner, pulp fiction writer and an amateur publisher. She was seven years senior to him and kept an apartment in Brooklyn. After the wedding, they settled down there; but trouble erupted soon after. Green lost her shop and also became ill. Lovecraft tried to find a job, but no one was willing to hire a 34 year old man without job experience. Ultimately Green left New York with a job while he hired another joint in the then-working class Brooklyn Heights, struggling to make ends meet. On April 17, 1926, H.P. Lovecraft returned alone to Providence and put up with his aunts. Green also wanted to settle down there and open a shop. But his aunts would not allow that and so ultimately they decided to go for mutual divorce; but it never took place. In early 1937, Lovecraft was diagnosed with cancer of the small intestine. On March 10, he was admitted to Jane Brown Memorial Hospital in Providence and died there on March 15, 1937. On March 18, 1937, he was buried in the Phillips family plot at Swan Point Cemetery. In 1977, his fans erected a headstone on his grave, inscribing his name, the dates of his birth and death, and a line from one of his personal letters, which says "I AM PROVIDENCE". In July 2013, the Providence City Council put a marker at the intersection of Angell and Prospect streets, designating it as ‘H. P. Lovecraft Memorial Square’. The Providence Athenaeum library also houses his bronze bust. H.P. 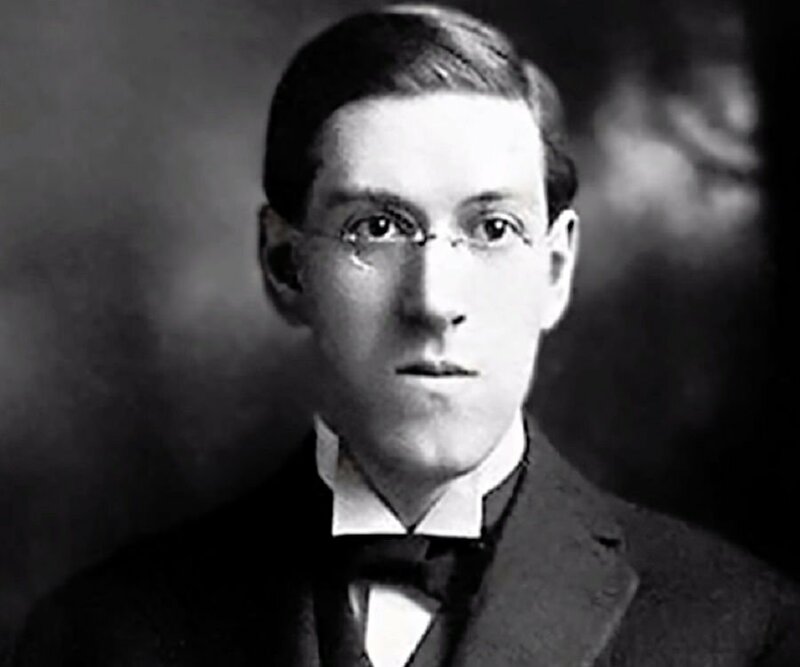 Lovecraft is most celebrated for his 1926 short story, ‘The Call of Cthulhu’. Although he himself regarded it as "rather middling - not as bad as the worst", scholars like Peter Canon had hailed it “for its dense and subtle narrative in which the horror gradually builds to cosmic proportions. 'The Shadow over Innsmouth’ is another of his major creation. Written in November-December 1931 and published in April 1936, this novel is the only Lovecraft creation to be published in book form during his lifetime. In 1919, Lovecraft’s mother was placed in the same Butler Hospital, where his father breathed his last. She died there in May 1921, leaving her son distraught for a while. But, he recouped quickly enough to attend a convention on amateur journalism, held in Boston on July 4, 1921.